MultiLing is looking forward to meeting you when we’re on the road this quarter. You’ll see us in Vancouver and Copenhagen at IP and patent meetings. If you would like to meet with a MultiLing representative at an upcoming event in either of these locations, please contact us at request @ multiling.com to make an appointment.We hope to see you soon! Additionally, July 2-4, we were in Tokyo at Interphex Japan 2014. Asia Regional Director Adam Bigelow presented to attendees on the importance of high quality translations for advanced scientific technologies. 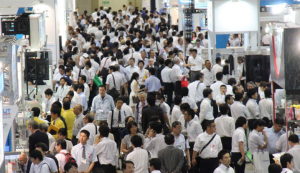 Interphex Japan covers the whole process of R&D and manufacturing for pharmaceuticals and is a substantial way to expand business in the Japanese market. The show has been continuing growth for more than 20 years, and Japan has the world’s second largest pharmaceutical market. This entry was posted in Events, Features on July 10, 2014 by Brian Chaney.